Carpets add texture, color and comfort to your space. However, carpet fibers retain grime, dirt and pet hair over time, hiding them from view. Professional carpet cleaning can restore the appearance of your carpets and protect your health. One study found that the typical indoor carpet is 4,000 more times grimier than a toilet seat. That adds up to 200,000 bacteria per square inch. It almost makes you almost want to sleep with your socks on forever. Yikes! Frequent cleaning and vacuuming can help mitigate the bacteria, but a professional carpet cleaning gets deep into carpet fibers to eliminate bacteria from the “root.” So, how often should carpets be professionally cleaned? At what degree of dirtiness do you call in a professional to clean the carpets? Is it when you can’t get the red wine stain out, or when there’s a perceptible, lingering odor? Let’s break it down by cleaning stages. 1. How often should you vacuum? For light to medium soiling, vacuum your carpets one to two times a week. 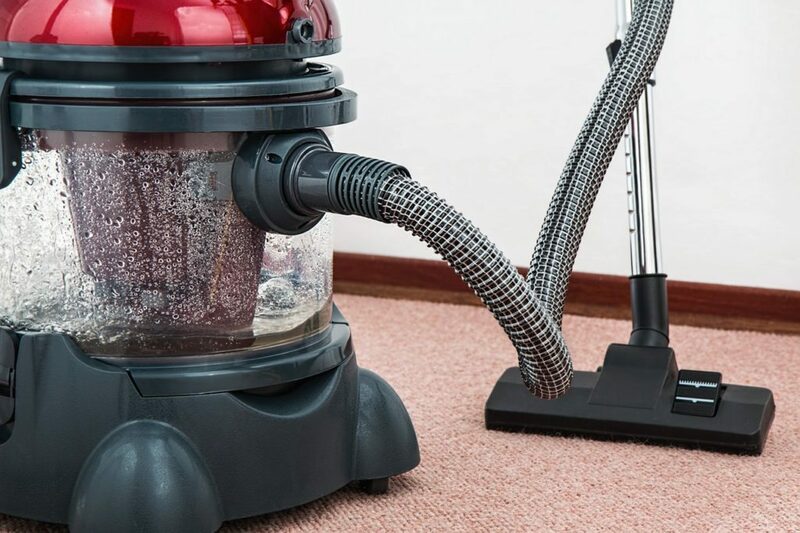 For the typical household, it’s best to vacuum two times a week, especially if you have kids, pets, smokers or messy employees in a similarly high traffic area. 2. How often should you spot clean? Spot cleaning prevents the buildup of grime and bacteria and is not cutting corners when practiced regularly. Spot clean light, medium and heavy soiling as soon as you noticed spots and keep up treatments daily. Stubborn or toxic spots require professional cleaning, especially in the case of a flood whether caused by bursting pipes or a hurricane. Does anyone have specific allergies? Then, you may require more frequent cleaning passes with green cleaning products. For heavily traffic areas, depending on the degree of soiling, you should clean your carpets at least three times a week. You may need to vacuum or spot treat areas daily. 3. So, how often should your carpets be professionally cleaned? We generally recommend that you professionally clean your carpets at least once a year. It mitigates long-term damage to your carpets and health as a result of letting problem areas go. 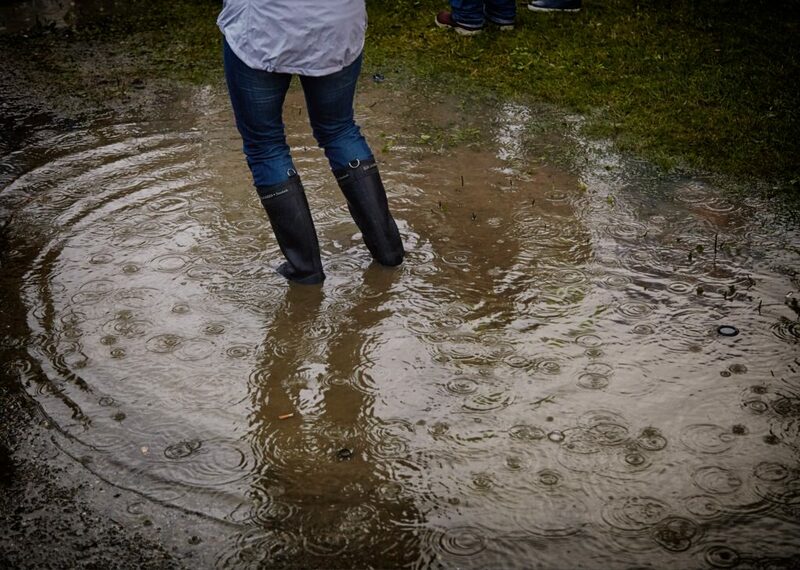 Those spots add up — especially when a natural disaster strikes. When water soaks into a carpet, it can spur on the growth of mold and bacteria — not to mention inviting bed bugs and other pests to come to live with you. Regularly vacuuming and spot cleaning can help combat dust, dirt, food particles, pet dander and other particles that transfer to the carpet. These particles need to be removed regularly, or they can cause odors, stains and permanent damage — to the carpet and potentially your health. “Seasonal” allergies may not be seasonal. If you let these particles build up in your carpet fibers, the spread of bacteria can adversely affect your health. A professional carpet cleaning also extends the longevity of your carpets and improves their appearance. Life gets too busy and rushing to get things done can put such chores at the bottom of your to-do list. So, when you let those chores go, it’s easier and cost-effective to bring in a professional for restorative servicing. You put money into your carpets, and their appearance adds to the impression of your residence or company. A grimy carpet makes guests cringe and can quickly send them running for the front door. The buildup of bacteria-causing particles can wear away at the carpet’s structure and deteriorate the carpet. After a while, you may need new carpet installed rather than a professional cleaning. Vacuuming, spot cleaning and some over-the-counter treatments can maintain your carpets for general cleaning. However, the long-term health and appearance of your carpets are a concern that needs to make your yearly to-do list. Over time, grime and bacteria build up to destroy the structure of your carpets and spread. That’s when you definitely need to call in the professionals. ECOS Environmental uses safe and green cleaning products and techniques to deep clean your carpets and restore them to their original beauty. Contact ECOS today 24/7 at 888-491-4652 to speak with us about your professional carpet cleaning needs. Mold gives humanity some pleasant things, such as blue cheese and penicillin. However, exposure to mold can have negative long-term side effects on your health, causing serious infection and allergies. Active mold growth needs moisture to thrive. Mold can develop within 24 hours when disasters strike and lead to water damage. That orange film on your kitchen drain is mold, and so is that fuzzy white stuff on your basement floor. Some people are more sensitive to mold than others. Mold can still irritate your eyes, nose, throat, lungs and skin and affect your health in the long-term. Sensitivity to molds can cause throat irritation, coughing, wheezing, nasal stuffiness, eye irritation and skin irritation. Those with a mold allergy and who experience prolonged exposure to mold can have more severe reactions. If you have a chronic lung illness or a compromised immune system, infection due to mold exposure may affect you more seriously. 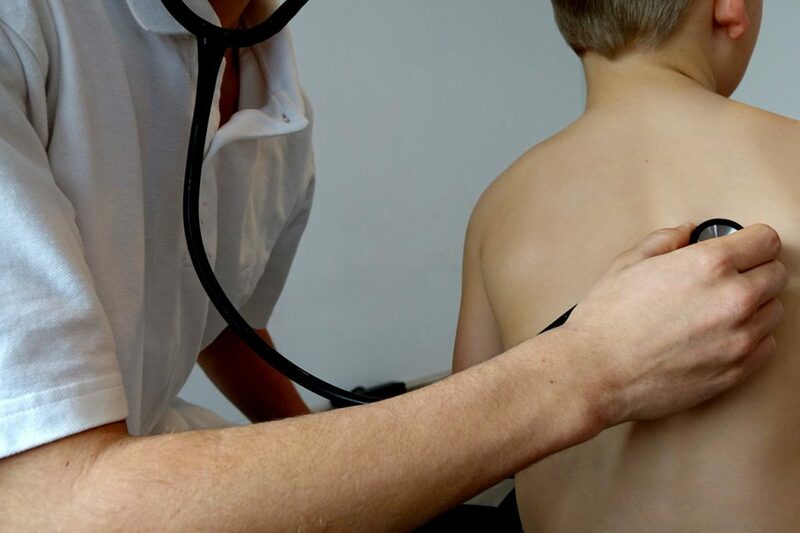 In 2004, the Institute of Medicine (IOM) linked indoor mold exposure with upper respiratory tract symptoms and illness in both adults and children. Otherwise healthy individuals coughed and wheezed. Those with asthma experienced excessive asthma symptoms. Susceptible individuals exposed to damp indoor environments had an increased risk of developing asthma. Those with compromised immune systems were more likely to become susceptible to hypersensitivity pneumonitis. Some findings suggest that early interventions in improving housing conditions mitigate the morbidity from respiratory allergies and asthma. Those with allergies can have more serious symptoms that make you feel like you have the flu or pneumonia with chest colds, headaches, persistent exhaustion, frequent coughing, fever and difficulty breathing. Toxic mold exposure is also connected to more serious, long-term effects like insomnia, memory loss, trouble concentrating and confusion. Mold exposure contributes to depression and anxiety. It can even lead to muscle cramps, numbness in extremities, weight gain, light sensitivity and hair loss. Certain molds prove toxigenic, which means that they produce mycotoxins that cause ill health effects. A little mold is everywhere, but not all mold is “poisonous.” That doesn’t mean you should ignore mold. Most are familiar with black mold, which is toxigenic and produces mold spores. These form colonies and grow with other spores. High concentrations of these mycotoxins can cause mold poisoning in healthy people, too. Mold poisoning is also known as mycotoxicosis. This condition affects the upper respiratory system with harmful cold or flu-like symptoms. Additional symptoms due to mycotoxins can prove fatal. That’s especially true for those with severe allergies, asthma or other conditions. 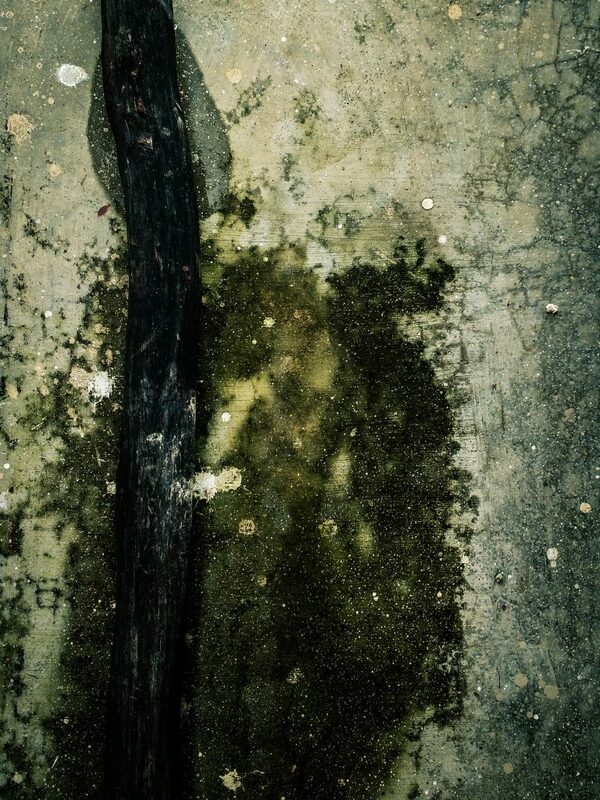 Green-black mold is also harmful. It’s found on paper, dust, lint, fiberboard and other low-nitrogen content materials. It can develop and spread after water leaks, floods and condensation. Until you know more, treat all molds the same due to the potential long-term side effects and health risks. Take mold growth seriously. You will usually see the mold colony and smell the signature “musty” smell. To prevent mold growth, we suggest using a dehumidifier during the warm months and providing your home or business with the proper ventilation. Use exhaust fans in bathrooms and kitchens. Clean surfaces with mold-killing products. Keep your humidity levels below 50 percent. Humidity levels shift throughout the day. Inspecting your structure for mold growth is an important part of routine building maintenance. Seek treatment from a doctor soon as you notice any eye irritation, skin irritation or other common symptoms after exposure to mold, especially when symptoms persist. It’s better to be safe than sorry. ECOS Environmental is happy to step in and test your home or business for mold and assist with the cleanup and renovation. When you experience a fire in your home or business, the aftermath is overwhelming to deal with and leaves you feeling vulnerable. Hopefully, you never have to deal with the fear, loss and helpless feeling that comes with experiencing fire damage. Be prepared by educating yourself early on, and address fire damage restoration as a priority, should it occur, to avoid long-term issues and costly repairs. Here’s what you should know about dealing with fire restoration. 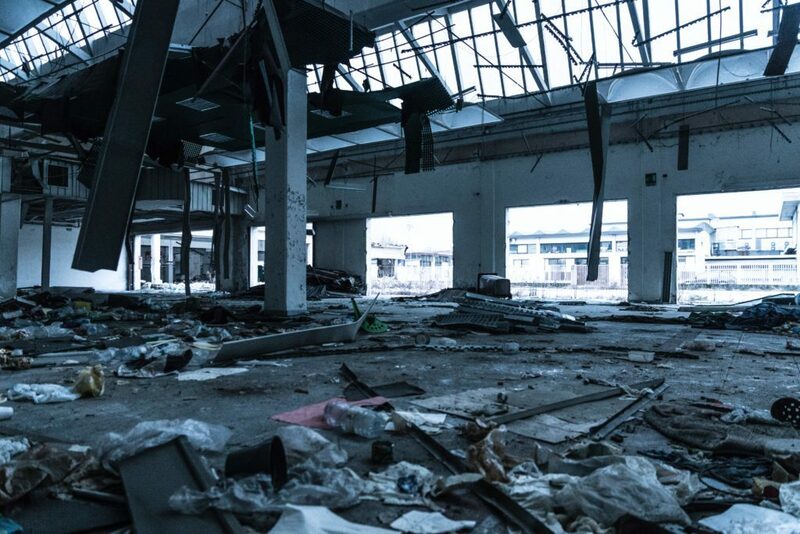 Safety and damage must be assessed before you enter the building. Your insurance company can help you find temporary lodging until you get the fire report. Also, contact a fire restoration service to conduct a damage assessment to get the restoration process started. • Try to salvage as much of your personal and home belongings as possible, such as clothing, appliances and furniture. 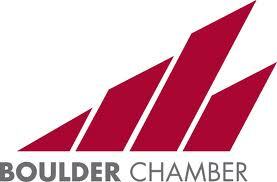 • Document all items removed from your home in writing and by taking photos, noting differences between structural and personal property damage. • Work with the insurance company before, during and after the assessment and restoration. • Work carefully and quickly to get you back into your home, and remain in contact with you to make sure you don’t experience other problems. • Ventilation: Air out the house by opening the windows. Force out contaminated air and dust with fans. Know that the restoration professionals set up industrial-strength fans and other equipment to remove the contaminated air. • Cleaning: You need to find your valuable documents and replace them. You can scrub surfaces with soap and water if you need to get to certain items, but leave the heavy-duty cleaning for the restoration professionals. Alkaline cleaners help neutralize acids in soot to reduce the smoke smell. • Laundry: Wash clothing, bedding and other items that you can machine-wash with alkaline cleaners. Use dry cleaners who are experienced with remedying smoke damage. Don’t use washers and dryers subjected to smoke and fire damage. Fire restoration services thoroughly cleanup by using industrial-grade equipment and products. For example, they may use specialized filters as they vacuum. Dry-cleaning soot sponges help lift loose soot. 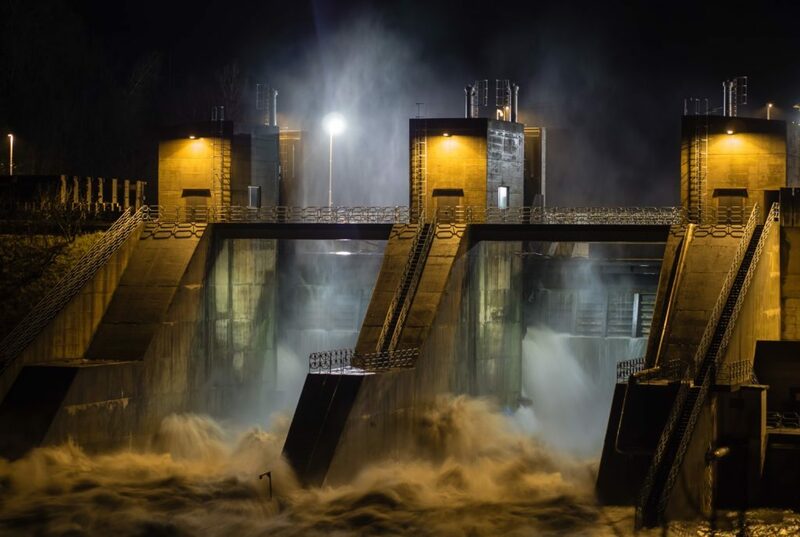 Fire restoration professionals remove standing pools of water with the use of submersible pumps. They sanitize rooms to prevent the risk of health problems, such as those due to mold. Mold begins to grow after 24 hours which may result from water damage from putting out the fire. The restoration company discards items that are too damaged for repair or restoration. Furniture and other items can also absorb contaminated water or mold. New carpets replace damaged ones. New wallpaper and paint go up. Your home gets a complete analysis and work-over, from top to bottom and interior to exterior. Did you know that a fire restoration company can leave your property looking better than before? The best companies do more than repair. They renovate to optimize the area for your safety but also look at this as an opportunity to redesign your home to your needs and changing tastes. You may think fire damage looks minor and that you can put off repairs. More damage results from negligence, which sends the insurance company a red flag. They may deny future claims. Be proactive in making your claim. Let fire restoration professionals help you document the damage. This makes it easier to file accurate claims, saving you more money in the long run. Fire restoration services often step in before insurance companies do to assess the damage. They help walk you through the steps you need to take to get back to your normal routines — and back into your home or business. 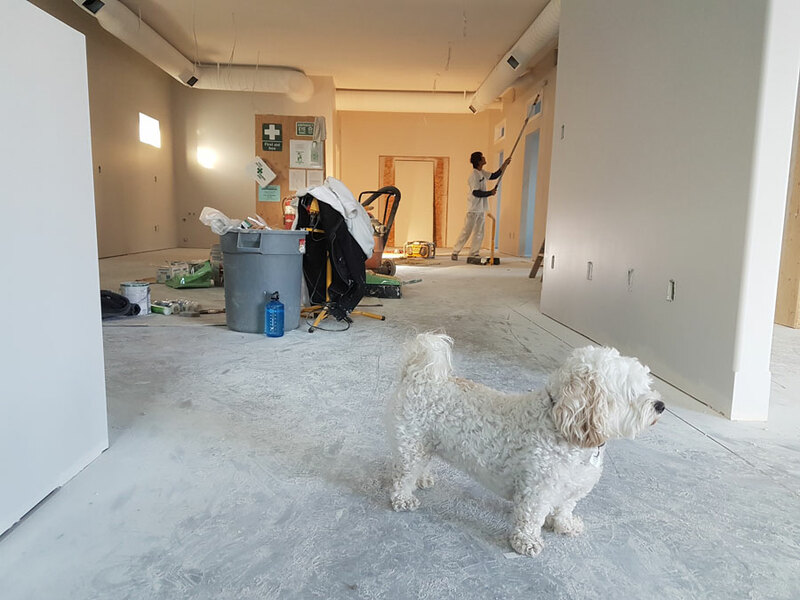 ECOS Environmental assists with documentation, emergency board-up, soot removal, thermal deodorization (for mitigating smoke damage), demolition, repair and reconstruction. What Is Crime scene trauma cleanup? Crime Scene Trauma Cleanup generally involves the cleanup of blood, body fluids and other potentially infectious material (OPIM). It is necessary in places related to homicides, suicides, and body decomposition and may include cases of industrial accidents, mass trauma, infectious disease contamination and animal biohazard contamination (from blood or feces). If done properly, the overall cleanup process is the way in which a contaminated site is restored to a safe and healthy living condition. Why Do You Need a Crime Scene Trauma Cleanup Contractor? 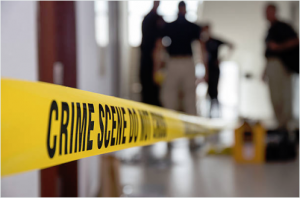 Typically, most people associate Crime Scene Trauma Cleanup with the occurrence of a violent crime. However, contrary to popular opinion, this cleanup process covers accidents and suicides, both of which require the expertise and equipment of an experienced professional. In many respects, a general cleaning company is not suited to thoroughly clean up after biohazards. It is only a professional Crime Scene Trauma Cleanup contractor that can do full justice to such a scene. Biohazard situations resulting from a crime scene often pose serious health risks stemming from potential exposure to bloodborne pathogens. These pathogens can survive in a deceased human being or animal for up to 16 days after death, subject to factors like the temperature and surrounding environment. Exposure to bloodborne viruses can take place due to direct contact with skin fragments, inhalation of and exposure to blood or bio fluid (to the eyes, mouth, and nose), and accidental injury from other biological fragments. Biohazard situations can also cause hidden dangers, which may be beyond the consideration of the average property restoration technician. Take an example of water damage emergency. Due to the outwardly visible damage, the drywall and floor boards will likely be removed. The remaining structures can eventually be dried out. However, blood can seep in through the floorboards and even the subflooring. In such cases, the only way to facilitate cleanup is by removing all affected materials. It is not enough to simply install new wood floors over a blood spillage or wipe the tiles. The remaining bio matter can spread disease eventually, let out odors, and cause further property damage. After the police have given the green signal, our Crime Scene Trauma Cleanup team assesses the area of impact accurately. Furthermore, they effectively determine the area of space which needs to be cleaned and the steps to be taken for preventing further contamination. For instance, if there is a dead person in the bedroom it has to be isolated from the rest of the house so that the possibility of the disease spreading is negated. Anything related to cleaning and replacement has to be done in the bedroom so that it is contained. 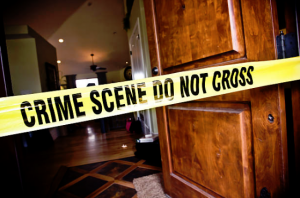 At ECOS, we understand the dangers of Crime Scene Trauma Cleanup. Further, our professionals use state of the art green technology to restore your property to safe living conditions. If you are feeling overwhelmed by the damages, then call ECOS on 888-375-3267! Most importantly, we have highly reliable services and can take care of all your problems effectively. Once Again, why should you choose ECOS for your Crime Scene Trauma Cleanup Project? • Our team is professionally qualified with 14 years of experience. • We operate 24 hours a day, 7 days a week, and 365 days a year. • With round-the-clock emergency service, we respond at any time of the day or night. • Our experts clearly explain the cleaning process to you and provide detailed reports on each stage. • ECOS uses state of the art green technology to do the cleanup. All the equipment is safe for people and animals. • We take photos of the entire process to enable the policy holder and adjuster to understand why the removal of some structural materials was required, what was disposed, and why ECOS employees had to use certain protective equipment. • ECOS provides biohazard cleaning services for small, medium, and large properties. Hazmat Spill Glenwood Springs Colorado | The Post Independent Newspaper Article (Below). 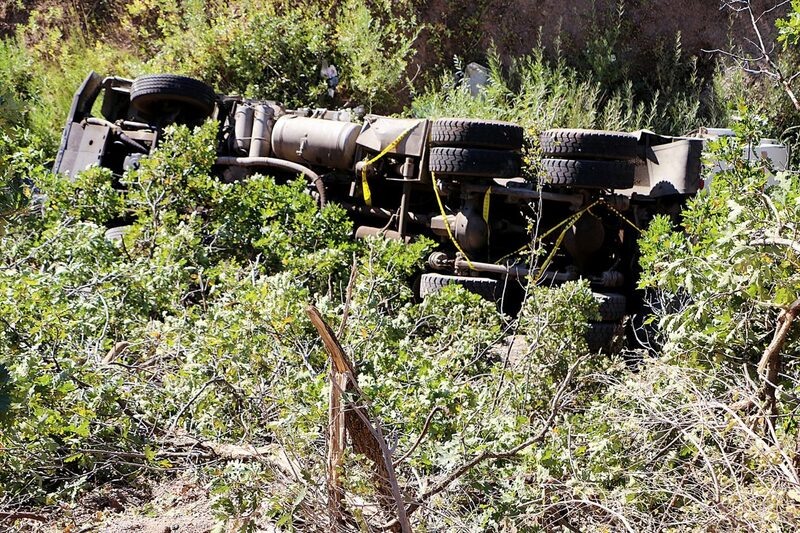 By Clicking On The Following Article Title, You Can Access More Information About This Hazmat Spill From The Post Independent Newspaper…..
A garbage truck slid off of South Canyon Road on Monday near Glenwood Springs landfill. 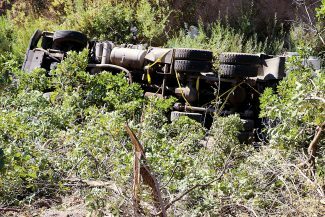 The Glenwood Springs landfill will be closed Wednesday after a garbage truck slid off the South Canyon Road on Monday, and rolled roughly 70 feet down a steep embankment before coming to rest in South Canyon Creek. The driver survived and managed to climb back up to the road, which will also be closed to traffic on Wednesday for towing operations. The driver sustained “bumps and bruises” but otherwise escaped relatively unscathed, according to Shawn Parsons, fleet maintenance manager for Mountain Waste and Recycling Inc., which owns the truck. Colorado River Fire Rescue took the driver to Valley View Hospital for treatment. Parsons said the accident occurred shortly after 1 p.m. and the vehicle was hauling residential trash to the South Canyon Landfill. South Canyon Road, also known as County Road 134, will be closed from 8 a.m. to 6 p.m. Wednesday while crews retrieve the garbage truck. This requires a closure of the landfill while the work is being conducted, said King Lloyd, landfill superintendent. There will also be a single-lane closure beginning at 10:30 a.m. Tuesday while a crew from Mountain Waste and Recycling pumps hydraulic fluid and diesel fuel from the disabled vehicle. Parsons said ECOS Environmental will be conducting a preliminary evaluation of the site on Tuesday, as well as additional testing before the truck is moved. “We want to make sure nothing got away from us,” Parsons said. Blaine Ward Towing of Glenwood Springs will retrieve the truck, and measures were taken on Monday by Glenwood Springs Fire Department to capture any hydrocarbons that may have entered the creek. Why Choose ECOS for your Environmental Spill? ECOS Environmental Spill Response team is dedicated to helping your company contain any spill no matter the size or time of day. ECOS specializes in emergency response. ECOS does not use answering services; thus, when you call you will speak with an Owner, General Manager, or Senior Branch Manager during dispatch. ECOS will evaluate every site and access the site in the least disturbing way while facilitating a safe work environment. ECOS Environmental Spill Response team prioritizes safety in the following way: first the safety of people is considered, second the safety of the environment is considered and third the safety of equipment/property is considered.